Over the past year we’ve seen and passed around hundreds of viral videos that made us laugh, freak out, and even get the feels. The thing is, we’ve forgotten about most of them, videos and memes come and go so quickly, the churn is so intense, no one has total recall of what was hot and when during the past year. Not to worry! 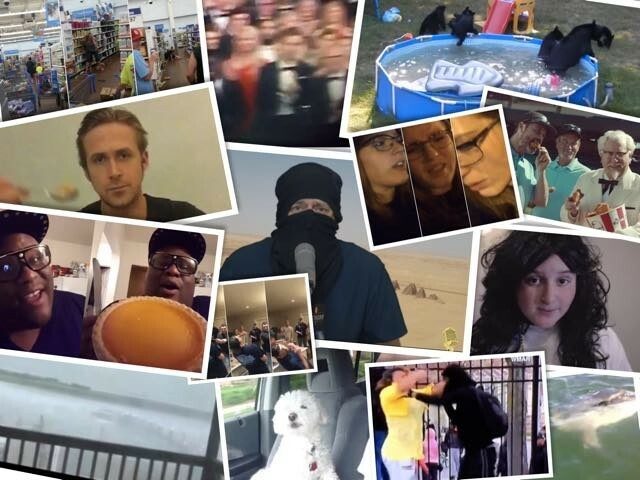 Below are the best and brightest viral videos released in 2015. Last year you voted “Girl Shovel Fight” as your favorite viral video of 2014. 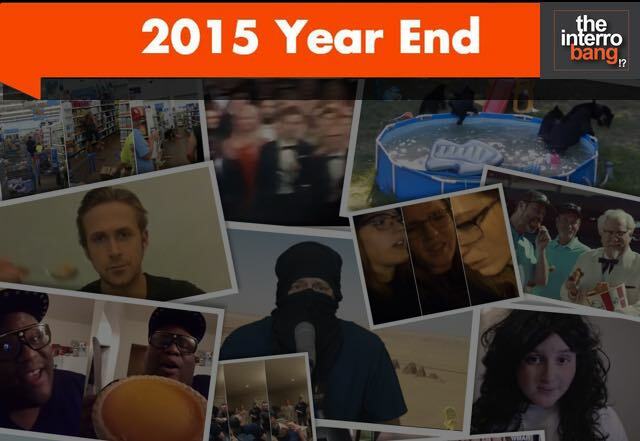 Scroll down to watch and then vote for your favorite viral video of 2015. Now Vote for Best Comedian of 2015, Best Special Best Album and More! No two men from Massachussets become more beloved so quickly than these two. Ok, maybe Brady and Belichick, but after them, these guys got it. Patti Labelle couldn’t move pies like this guy did. As a result of this stellar review, you couldn’t find one of these pie’s anywhere in the country. This was the year Periscope broke. Twitter’s live video streaming app brought us some big moments, this may have been the biggest. Whenever a new technology comes out, it’s the wild west. And this chick learned that the hard way after she started scoping while driving drunk. Shout out to the only Periscope video that got more views than this one– The Anthony and Dani Show. Everyone loves this dog and everyone loves this dude for loving his dog so much. Watching this bear family have such a great time was mesmerizing, and almost as much fun as watching this family complain about it. We’re still not convinced that isn’t some dudes stuck in bear costumes. This reimagining of Andrew Dice Clay took everyone by surprise. Ryan Gosling showed he was a true bro when he made this video in tribute to the passing of the man who made the viral Vine videos trying to feed Ryan Gosling cereal. Just when you finally got this out of your head we’re bringing it back. The most annoying little Jewish boy in the world gets indulged by his parents and no one has ever been more hated so quickly on the internet. The oddest part of this whole fight is no one stepped in, despite there being a child involved. Indiana, you’re the best. We didn’t want to choose an advertisement for top 10 viral videos but we couldn’t stop ourselves. Everyone was confounded when Darrell Hammond became the new Colonel. And he’ll always be our favorite old new colonel. Michael Keaton thought he was about to walk that aisle, but had his hopes and dreams crushed right on camera. It’s the founders generation Zapruder film. The Baltimore riots were awful, but this one woman showed that there are still good parenting traditions out there. This is what happens when bros get their hands on samurai swords. Don’t let them anywhere near a mace. Why would Ribbon worms even exist in the first place? Nothing is worse than these things and this video proves it.